The weekend before last I spent a couple of hours doing my last runs for the season down Eyre t-bar on Mt Perisher, while I didn't have my camera with me, I did have my phone which doesn't do too badly when I take the time to stop skiing and take a few photos - which is rare, I tend to not want to stop when skiing. 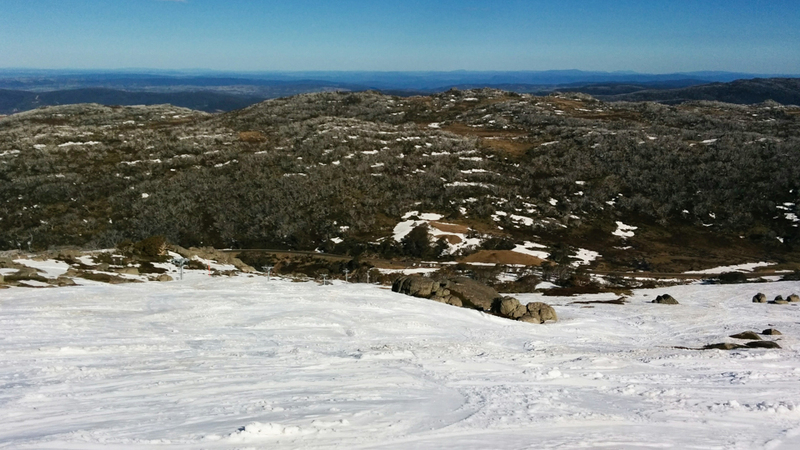 Looking down from the top of Eyre T-bar at Perisher, my car is one of the ones at the bottom. Living in Canberra and having grown up on the Sunshine Coast in Queensland people often look at me as though I'm slightly mad when they find out where I'm from and where I live. While the Sunshine Coast is nice and I love to visit, I find it too hot and humid to live in comfortably, and it's far to far away from the snow. I'm not sure why I like the snow so much, but I was bitten by the bug on a school trip in grade 12 and have been trying to spend time there ever since. 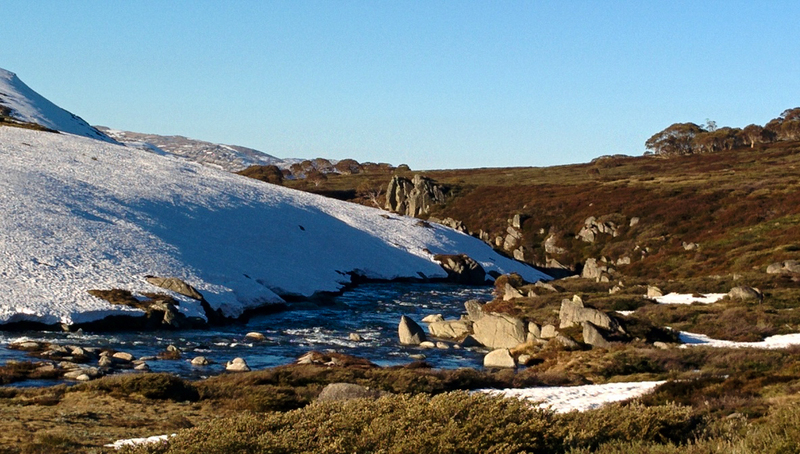 That first trip was in a September, and just over three of the 5 days were blizzard conditions, the snow next to the car park at Perisher was piled higher than the buses. It wasn't the most comfortable time, and I couldn't really ski all that well but there were enough glimpses of enjoyment that I was hooked. 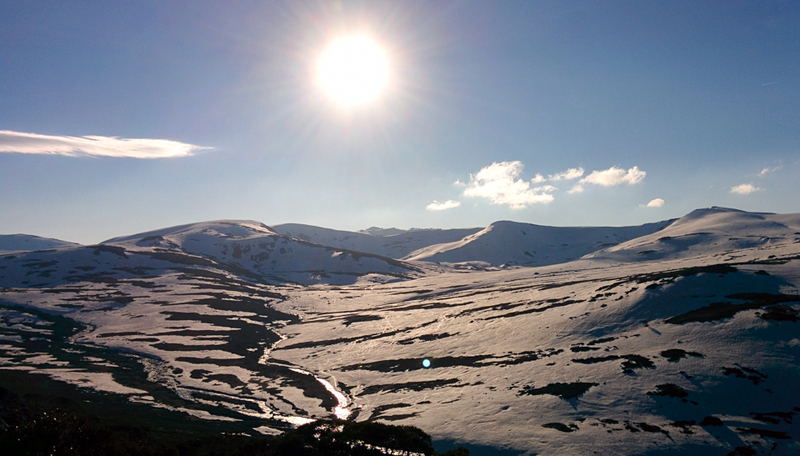 The next time I got to go was about 4 years later on a trip while at uni, it was the same time of year, but this time there was grass covering half of Smiggins and it was bluebird skies - good spring conditions with soft snow, rather similar to what it was like in these photos. 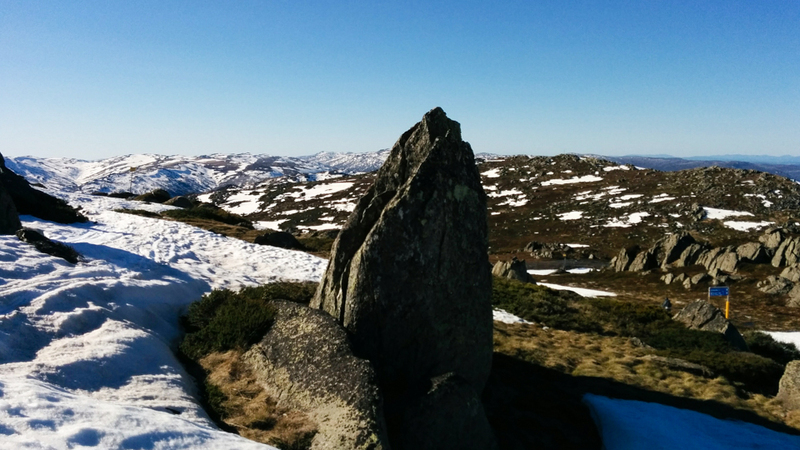 I decided I needed to go back for more, however it took another three years before I got to go back, and this time it was to live in Jindabyne for a couple of years. 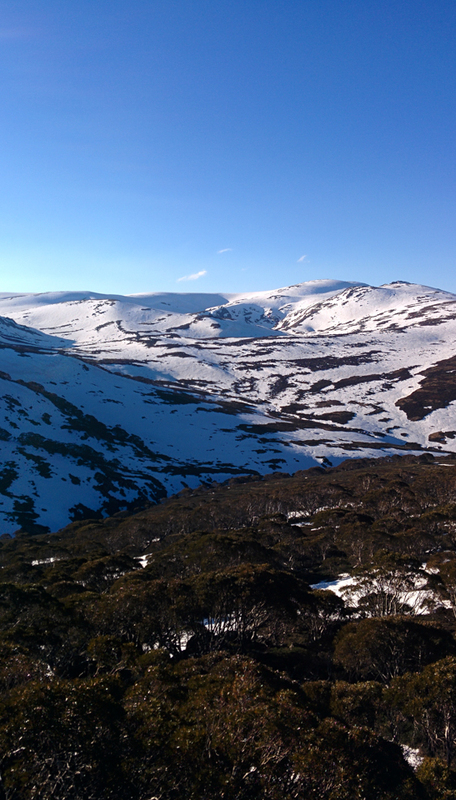 While there I discovered that one of my favourite places was up at Charlotte Pass lookout which is normally only accessible outside of ski season - unless you are skiing at Charlotte Pass or going cross country. It was always nice to go for a quick drive up there at the end of a hot day to watch the sun set, and at night the stars were amazing. I didn't have a camera then, so no photos unfortunately and every time since then that I've planned to go and photograph there at night or with a model the weather has not co-operated. 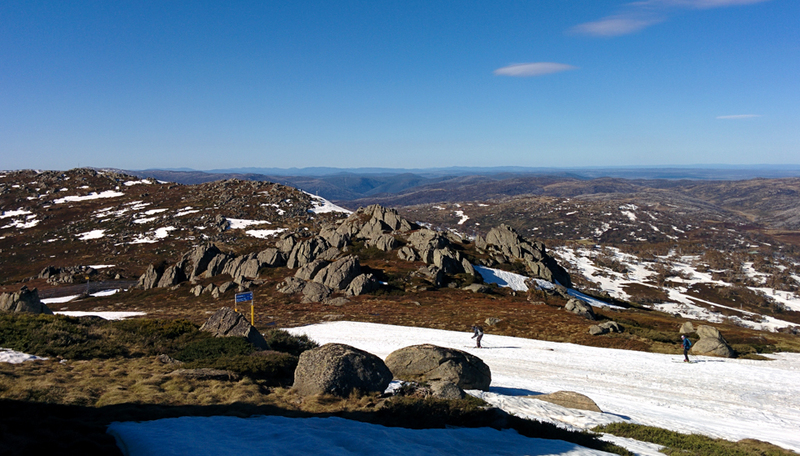 After Jindabyne I spent a few months in Canada - co-incidentally one of their worst seasons in a long time, and while there gave some thought to my future. 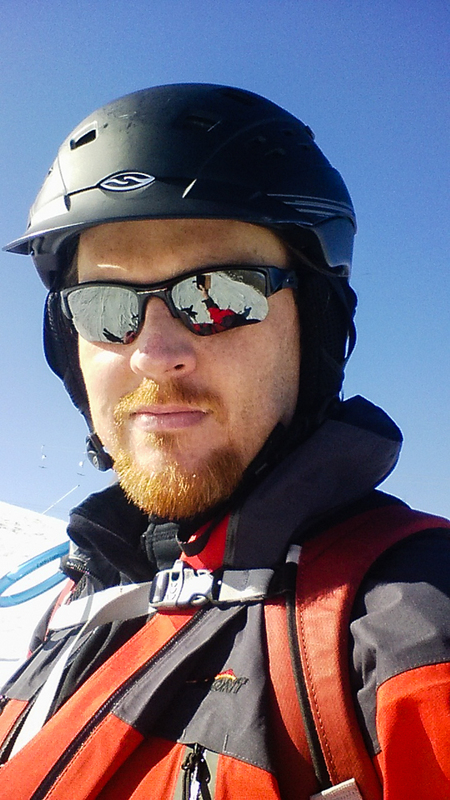 I knew I wanted to keep skiing, but I also wanted things like cameras and work that was satisfying to myself, things that I couldn't get by living in Jindabyne as it was too small and work was too tied to the tourism industry. 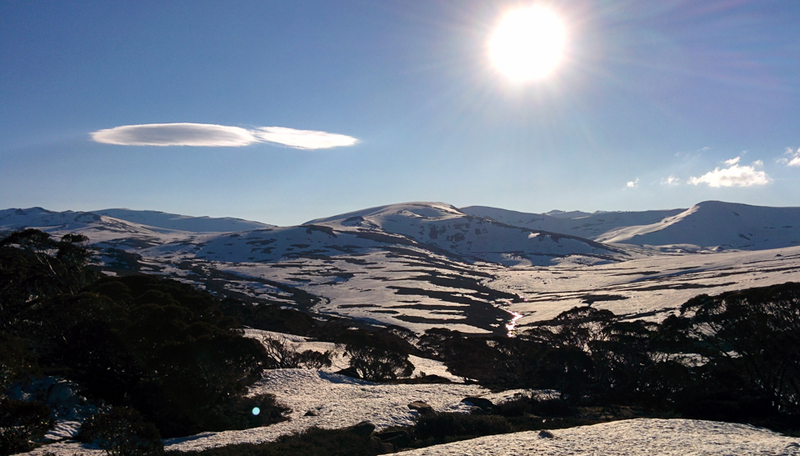 So I thought about my options and decided that Canberra was going to be the best place to move to, it was close to the snow, had a wider range of work available, and wasn't as large as Melbourne which I would have found uncomfortable to live in (nice to visit though). A few months later I dusted off my IT skills and moved to Canberra. Of course the year I did that I couldn't afford to go skiing and it was the biggest season in 20 odd years (note: don't plan holidays to the snow at the same time I do), but it was definitely worth the move. 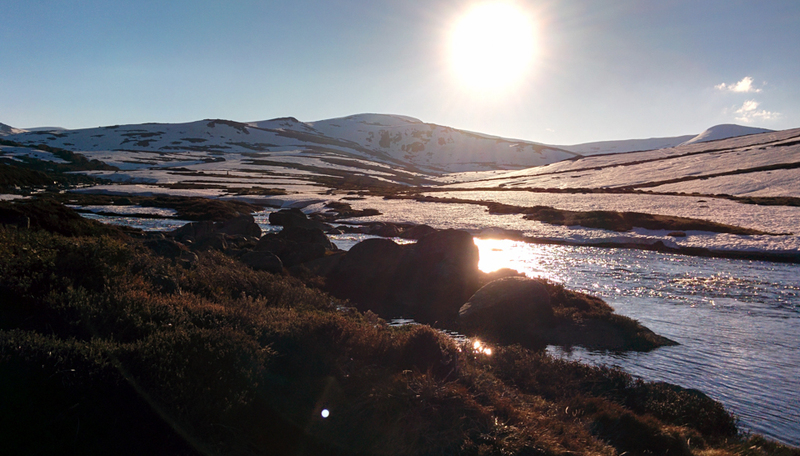 After the last few runs on Mt P, I decided to follow the road up towards Charlotte Pass, expecting it to be closed at Spencers Creek as it usually is once the snow clears enough and while the ski season is still running. 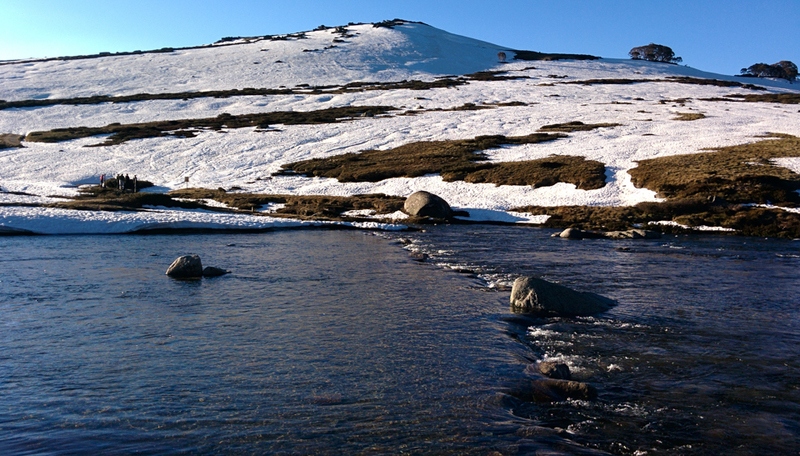 Instead I found it open all the way to Charlotte Pass lookout, so drove the rest of the way and went for a little walk down to the Snowy River. Overall it was a great way to finish off the season.